Lincoln did indeed unite this past weekend in a new festival celebrating the city’s vibrant mix of cultures with activities for all ages. If you missed the day’s African drumming, henna tattoos, delicious food, and moving citizenship ceremony, read on for a vicarious experience and mark your calendar to watch for the 2nd annual event next spring! 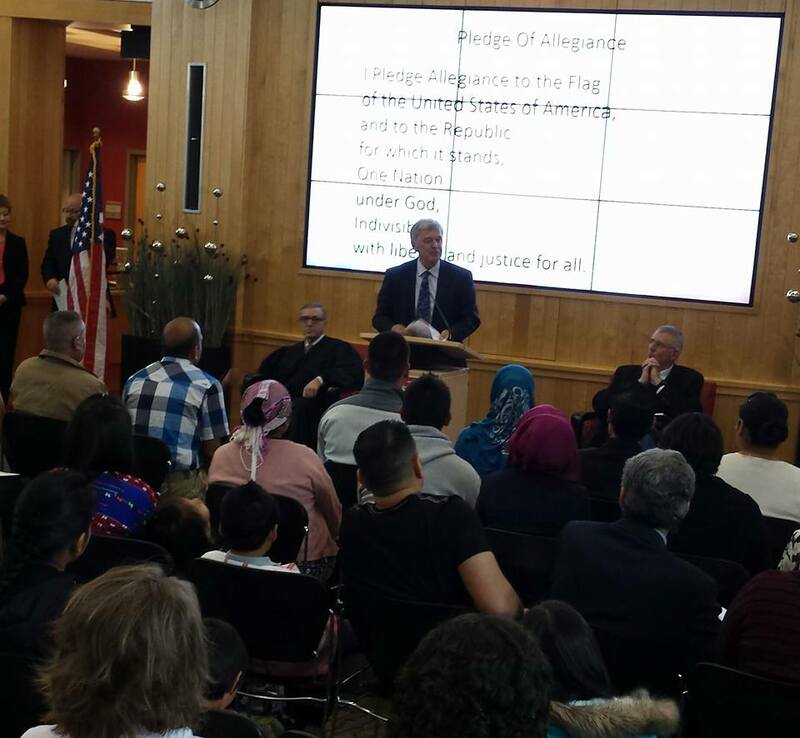 Lincoln Mayor Chris Beutler spoke at a naturalization ceremony for 29 new American citizens. heritage, teach their children multiple languages, cherish their customs, and add to the richness of the United States. These new citizens came from 14 different countries including Burma, India, Mexico, Guatemala, and Canada. Following the ceremony, Lincoln community members celebrated together with live music, dance and interactive activities. 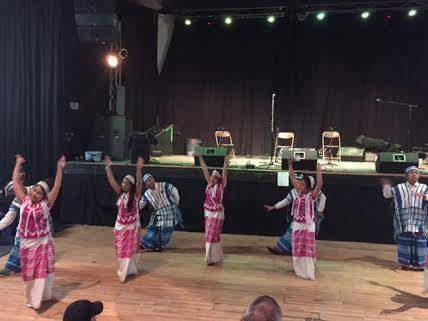 Performances included Afro-Caribbean music, Folklorica dancers, Karen dancers, African drummers, Peruvian music and more local talent. When the Kurdish band played, dancers of all ages filled the dance floor. Booths ranged from fun to informative. 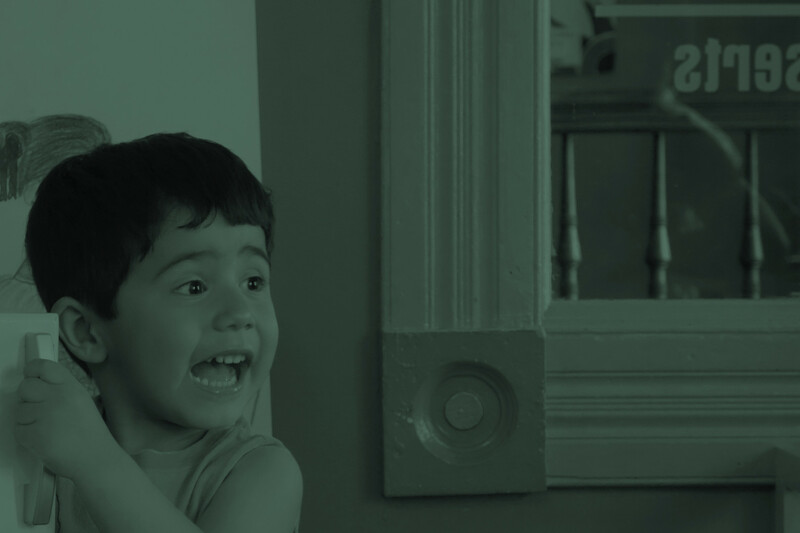 Families, children, and neighbors of all backgrounds could interact with a variety of cultural traditions as they learned African drumming or stopped by the photo booth, food carts, and other activities. 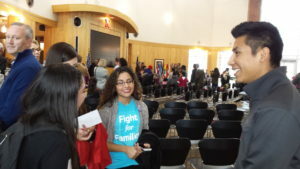 The UNL Define American Chapter asked people to define what it means to be American, and Nebraska Is Home talked with people about what they could do to welcome new friends. 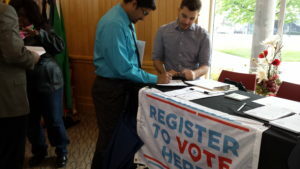 New voters registered to vote at Lincoln Unites! It is hereby decreed on this 30th day of April, 2016, that Lincoln, Nebraska is a Welcoming City that embraces a rich diverse culture with acceptance and inclusion.